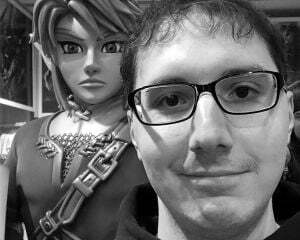 I’m a big fan of old-school shooters. I cut my teeth on them in my youth and I still get a kick out of how ultra fast paced and skill based those older games were. I can return to classics like Unreal Tournament and Quake III Arena without batting an eye. The design of both of those games is practically ingrained in my brain; I don’t think I could forget their maps regardless of how far removed I become from them. So with much anticipation, I was ecstatic to try out Quake Champions at PAX this morning. 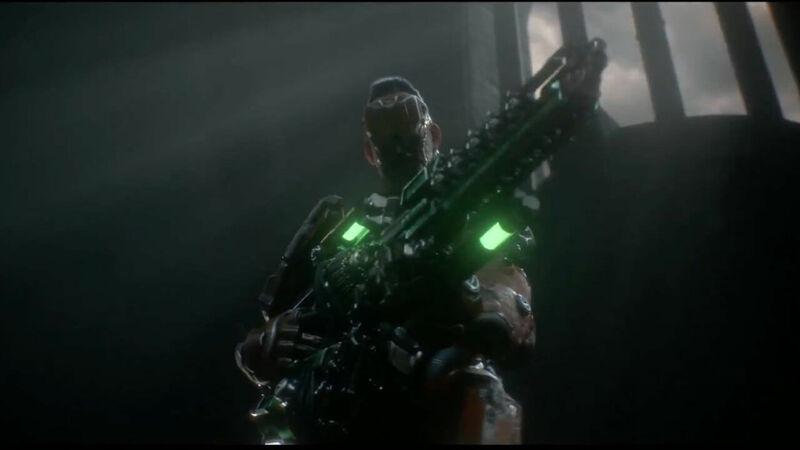 id Software did an excellent job on rebooting Doom last year, so the studio clearly still knew how to craft a compelling shooter. Sadly, while Quake Champions is definitely competent, it doesn’t really feel like the games of my youth. As a funny aside (this has nothing to do with the performance of the game or my experience), the PCs given to Bethesda to demo Quake Champions were having issues. When I arrived at the booth, I spoke to Matt Frary, the assistant director of PR for Bethesda; we both had some choice words for Windows 10. Apparently whomever donated those PCs didn’t think to update them before the show, so Microsoft's automatic update system was causing a lot of problems for Bethesda. They had to hold off on launching the game Friday morning because every PC decided to cycle through updates. Yeesh. Also, the last PC in the row I was seated also had a black screen, but I suppose that is better than a blue one. Matt gave me a quick rundown of what the titular "Champion" characters have for different abilities. If you were fearing that Quake Champions was going to turn out like Overwatch, you don’t need to worry. Sure, there are specific abilities for each character, but they don’t really play roles like healer or tank. Everyone can zoom around arenas and wield every weapon with the same amount of skill. I went with Ranger, the classic character from the original Quake, and his ability was a teleportation orb that could zip him across the arena. You could telefrag with it (which I only did once) and it also would cause some limited area-of-effect damage when passing by players. Some of the other abilities for the different characters were light regenerative health, extra damage output, a trail of acid that damages on contact, and defensive buffs. You have a loadout menu similar to how Doom 2016 did multiplayer, but you aren’t selecting weapons. Everything in here (from what I could tell) was cosmetic. Ranger had different armor configurations, but I couldn’t actually change them. I believe you can also put skins on your guns, but that is superfluous stuff. There were a few maps present in the demo, but I voted for The Proving Grounds. I remember that being the map of a map from Quake III, but I don’t believe it was the exact same one. I know the map I played was a staple on server rotations (I distinctly remember jumping across those pillars and hitting the jump pad with a huge elevator-like shaft), but I could swear it had a different name. Apart from that, this was standard deathmatch fare. I couldn’t get used to the ridiculously low sensitivity of the mouse (it was set at 0.4 and it felt like dragging a brick), but I was doing pretty well for not having touched Quake in a few years. I even managed to get a gauntlet kill, resulting in the always classic "HUMILIATION" line. Like I said, those special powers for each champion don’t really matter in the thick of things. One robot guy had a massive shield, but it didn’t last long and was easily countered by my teleport ability. What wasn’t so great was the massively reduced amount of splash damage from the rocket launcher. As a matter of fact, the weapon design really bothered me. 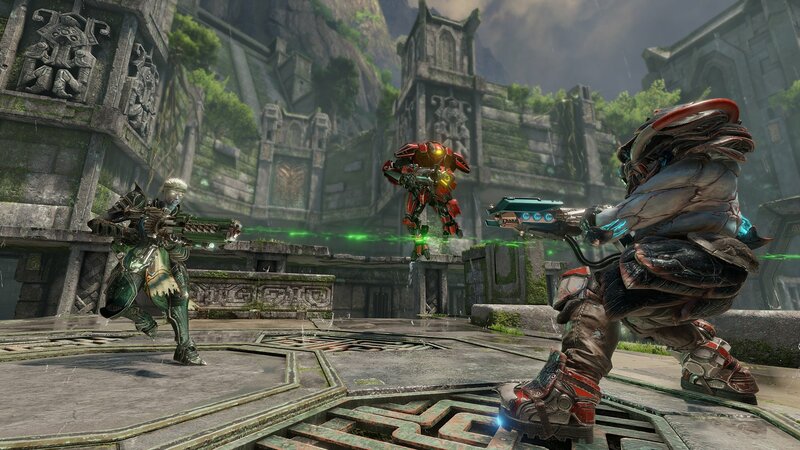 From a cursory glance, Quake Champions' aesthetic design looks like Destiny. There are a bunch of bright colors, sure, but those guns are so futuristic and detailed that they look distracting. They are also insanely small in your field-of-view, which is not what I remember from classic Quake. I’ve never been good with pinging people with rocket blasts, so I used to swear by splash damage to help me out. I don’t think I ever managed to cause any damage with the rocket launcher. I mostly stuck with one of the various machine guns, which is strange as Quake III only had the single version. The lightning gun was effective enough, but it lacks the audio feedback that it used to and looks a bit gimped. I also felt the general speed of the game was slower than before, but Matt assured me that was due to Ranger. Apparently the stats matter a little bit, but I can’t help but feel this was more a design choice to garner more widespread appeal. Quake III was astounding for how lightning fast it was, separating itself from the rest of the pack. 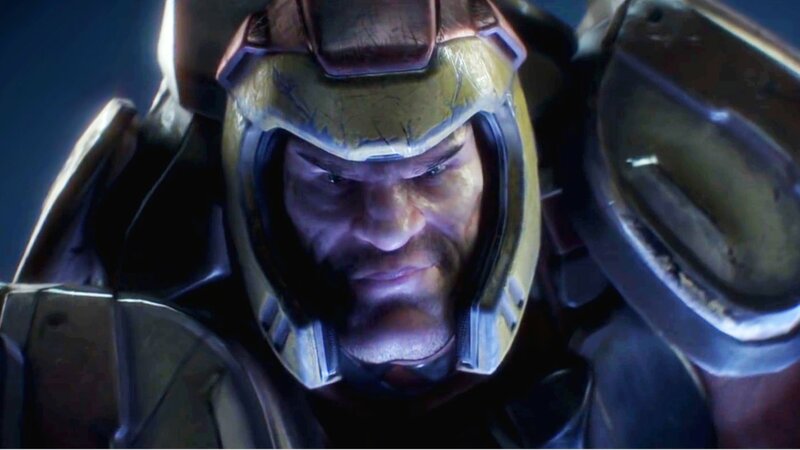 Quake Champions feels like an aging athlete returning for his final game. This was similar to the problem I had with Lawbreakers (the Cliffy B developed game also here at PAX); they aren’t replications of the late ‘90s shooters like their developers seem to think. 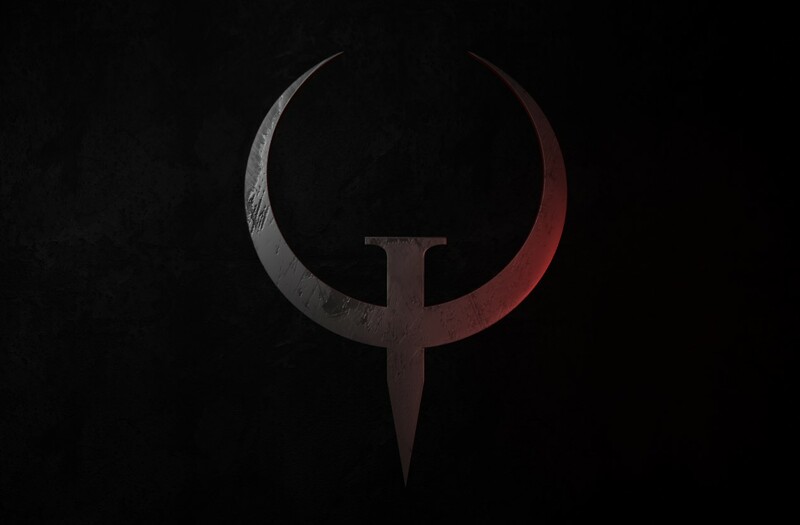 Lawbreakers might get away with this as its name isn’t attached to a classic brand, but I don’t know what id Software is thinking with Quake Champions. The best thing I can say is that it isn’t an Overwatch wannabe. At least id isn’t chasing after the most recent popular shooter. But while the game is competent as a shooter, it doesn’t feel particularly noteworthy. That is a crying shame. 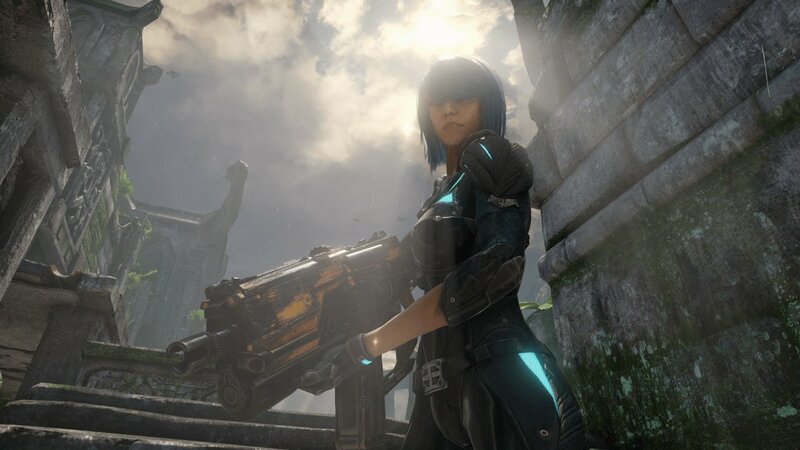 While I know it may be a long shot (with the game not having mod support), I really hope Bethesda and id allow fans to tweak the ever-loving hell out of Quake Champions in the final release. Maybe I’m just showing my age, but this isn’t the Quake I grew up with.